1. A Strong Reputation -- It matters who represents you. We're respected lawyers who aren't afraid to fight, in and out of court. 2. A Deep Understanding of the Law -- Most of our attorneys concentrate their practice in only one or two areas of the law, which can be a huge advantage when fighting for our clients. 3. A Vigorous Commitment To Lower Costs -- We work hard to eliminate all unnecessary costs for our clients. We work especially hard to keep our rates lower than our peers. 4. A Dedicated Focus on Client Service -- We have three convenient office locations (Charlottesville, Palmyra & Harrisonburg), promptly return phone calls, provide frequent case updates, offer free notary public services, provide easy handicapped accessible parking, and when you need us, we'll visit you at home, on the weekend or at the hospital. We want to earn and keep your business. Please contact our law firm today -- Let's stand up and fight together! 9-5, Monday thru Friday; Weekend, Home and Hospital appointments available. 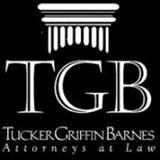 Whether you are purchasing or selling commercial or residential real estate through a real estate agent or on your own, Tucker Griffin Barnes P.C. Charlottesville real estate lawyers will enact proper safeguards to protect your investment. Tucker Griffin Barnes P.C. understands the emotional turmoil that surrounds an arrest. We make it our mission to reduce the stress as much as possible. Divorce can be a long and difficult process - one fraught with fear about the effect it will have on your children, your finances and your future. Lynn Bradley at Tucker Griffin Barnes P.C. helps Virginia employees injured in the workplace apply for and receive workers compensation benefits so that they can pay their bills and take care of their families. People who have suffered injuries through no fault of their own shouldn't wait until they hear from the at-fault driver's car insurance company. Contact us today to make sure you have the best chance of doing everything right for your case.